The official launch of the European project DEMOWARE took place at CTM, in Manresa, Spain, on the 12th and 13th of March. 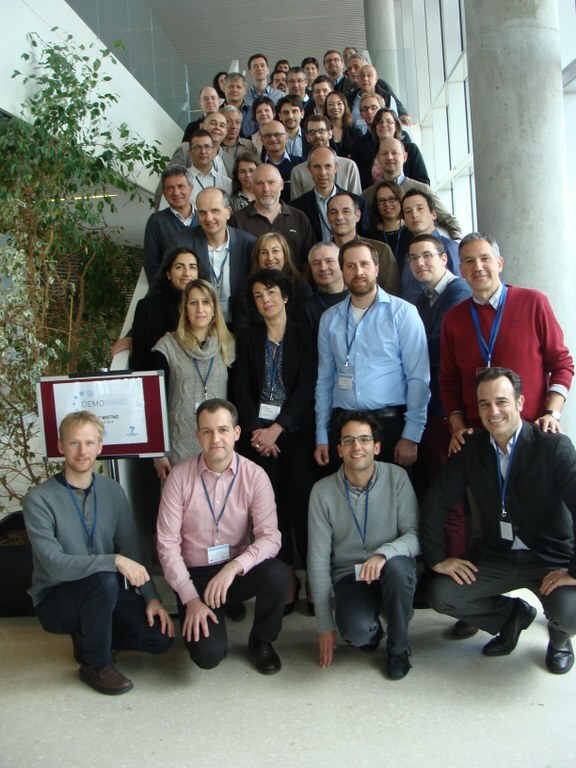 The official launch of the European project DEMOWARE took place at CTM, in Manresa, Spain, on the 12th and 13th of March. Representatives of all the 27 partners come to Manresa to attend to talks of the coordination team and the workpackage leaders regarding technical and financial management procedures and introductions to workpackages structure and objectives. The attendants also had the opportunity to present their companies to the other members of the consortium and to discuss with all the participants in their tasks the actions to be taken in the next months in parallel sessions. On the evening of 12th took place a project dinner in Món Sant Benet Facilities where all the participants had the opportunitty to meet and share impressions about the project.